3 Bedroom House For Sale in Stockton On Tees for £179,950. The Tarn Now Available ,call now to book an appointment with our skilled sales team. This exquisite three bedroom family home is truly superb, combining open-plan living with high quality design offering spacious living accommodation throughout, this modern three-bedroom home features an airy, open-plan living room and kitchen/diner, with patio doors leading from the living area to private outdoor space. The ground floor is also home to an internal garage and a downstairs WC. The first-floor includes a spacious master bedroom at the front of the home, which leads out onto a sizable balcony, and comes complete with its own en-suite including a double walk-in shower. Down the hallway lies two further double bedrooms, a family bathroom and ample storage.with a light and airy feel, decorated with soft neutral classic tones, creating the perfect mixture of modern design and timeless elegance. To the first floor, the master bedroom is a well breathtaking with fully fitted wardrobes, en-suite shower room,and french doors leading to the balcony.bedroom two & three are well proportioned doubles,house bathroom boasts an elegant bathroom suite, with a contemporary design comprising of bath, WC and basin. 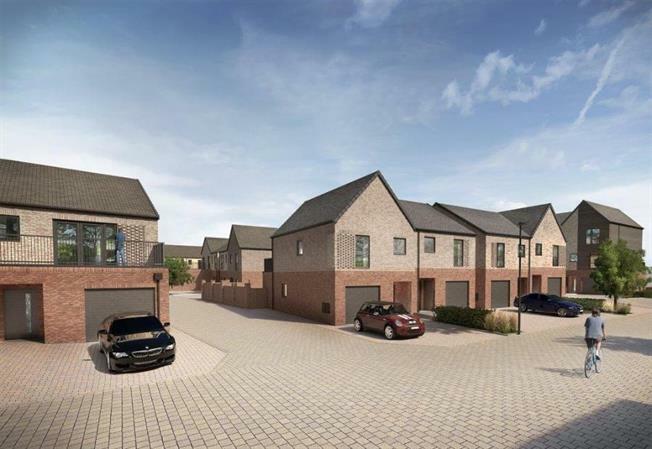 Externally, The Tarn offers a block paved driveway with parking place,integral garage and a private rear patio and grassed area. living spaces and high ceilings, and every home comes complete with off-road parking, fully-fitted kitchens, bathrooms and high specifications throughout. Several of the homes facing the river mix a contemporary brick exterior with bold, black timber cladding which gives the river frontage a nautical feel; a nod to this area's history as a booming centre for shipbuilding during the 19th century. There are 11 home layouts to choose from, ensuring that you'll find a property designed to suit your way of life whether you're taking the first step onto the property ladder, looking to move up or are ready to downsize. - modern kitchens complete with high quality appliances including oven and hob. From your front door, you can explore acres of stunning scenery on foot or by bike along the River Tees and beyond into the Tees Valley. For a more urban vibe, the centre of Stockton is within easy reach and the beautiful market town of Yarm is just a short drive away. Major shopping areas within Stockton including Wellington Square, Castlegate Centre and the popular Teesside Shopping Park, all of which feature an eclectic mix of independent shops and high street brands. Stockton also regularly plays host to cultural events including an annual Cycling Festival and International Riverside Festival, and major heritage assets include the 700-year old traditional market and the Grade II listed Art Deco Globe Theatre which is currently being restored by the Council for use as an exciting new live music venue. The Government-backed Help to Buy scheme is also available which means you could secure your dream home here with as little as a 5% deposit.